Today I playfully suggested to my yoga students at The Wave, “let’s wear red next week for Valentine’s Day.” I reasoned that red is a festive, bold color and seems fitting for a daring heart opening class. They seemed to know what I meant by heart opening. They also seemed reluctant to join in my silly festivities. What can I say? I like fun and I like community spirit. I am already planning to teach chest stretches, encourage connection to the heart space and create space for those who seek to explore the emotional connections held beneath the sternum. Generally, heart opening classes move the spine, shoulders and neck and improve strength and awareness in the postural muscles and chest region. They encourage flexibility of the shoulders and front ribs. As you might have guessed, they also invite us to venture into the world of love. Through my chiropractic eyes I see posture, spinal flexibility and core strength in almost everyone I encounter, including yoga students. Not as a way of passing judgement, but with real interest as to how our bodies either can or cannot move through some of each days physical requirements. Those seeking yoga come willing to stretch and work towards new shapes to achieve the benefits of yoga poses. Some are interested in postures; some are interested in integrated yoga philosophy and experiences. Most patient requesting care are looking for relief and want to make sure that I know that they cannot touch their toes, go to work, sit or stand very long and that they have some kind of physical limitation and pain. Whether patient or yoga student, they may not be thinking about whether or not their heart is open, … but I am. Heart opening classes tend to feel warm, kind, maybe even passionate. 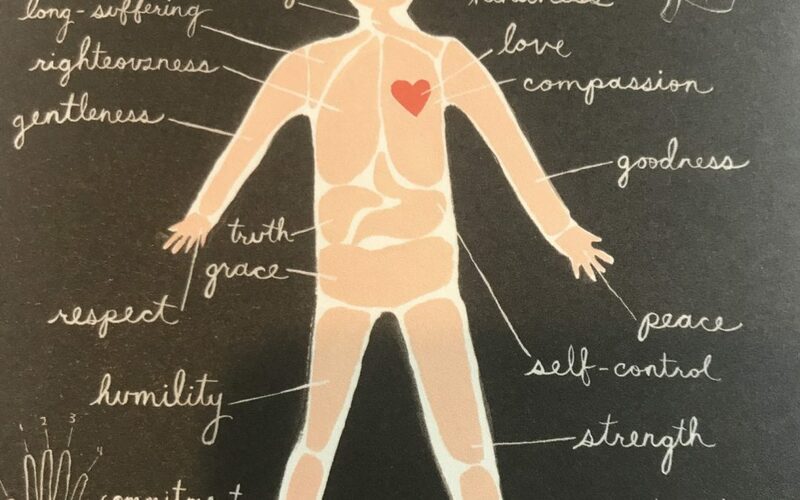 A series of postures that connect the mind and body to the emotions we experience in our heart space. Some wonderful, some maybe not. What I have observed over time is that closed postures often come with a closed heart. In the physical body it looks like a forward head, rounded mid-back, shoulders slouched, heart sunken inwards. Physical medicine, like chiropractic, is a good treatment for physical conditions caused from things you would expect from this posture. It results in neck pain, mid-back aches, rotator cuff impingement, rib pain, jaw problems and even lower back disorders. It’s one thing to treat the symptoms and conditions that are the result of this postural strain, but how do we address the cause behind the cause? What is the best treatment for postures that are the results of a broken heart, a timid personality, a sense of not belonging, chronic stress or simply an off emotional day? One possibility of chronic closed postures comes from chronic habits of closed thinking or feeling. With this awareness comes the acknowledgement that the result of the accumulated years of poor posture, inflexibility and lack of “practiced heart, hip or any kind of opening” contribute to our physical breakdown. In other words, our physical body is often the result of, or heavily influenced by, our emotional body. The cause behind the cause. Therefore, practices like yoga, “open” us in more ways than one. Whether we have perfect posture or poor posture they open us to more range of motion and to exploration and mobility of our emotional body or our way of being in our bodies. They open us to a spine that is strong and a heart that is flexible. Heart opening classes benefit us on many levels. They keep open people open, and they address conditions related to poor posture and they invite feeling the emotions of the heart. Sometimes a heart opening practice is good medicine. Sometimes it allows already loving feelings to become even more alive or better yet more practiced. Be brave, be daring, be courageous, be vulnerable, wear red, feel love. Join in on a heart opening class this Valentine’s Day and see how it makes you feel. It may open your heart to more than good posture. It could bring healing or stir your loving spirit. You might be surprised what you find beneath your sternum when you open your heart.